Proxy temperature record (blue) and this study’s projection (orange) for the Northern Hemisphere. One of the least understood things about global warming (aka “climate change”) is how much of it can be caused by people. Several studies have attempted to answer this question, and they produce radically different results. Some indicate that human industry is one of the most important factors in how global temperatures are changing. Other studies conclude that human industry has a very small effect on global temperatures. Who is right? I don’t know, and I honestly don’t think anyone does. How can I say that? Because I read the scientific literature and use the information I find there to draw my conclusions. The information in the scientific literature has little relationship to the nonsense that is peddled in the media and most of today’s institutions of education. The fact is that no one understands some of the very basic aspects of climate, and a recent study highlighted this in an enlightening way. The study is interesting in its own right, because it attempted to use artificial neural networks (ANNs) to “learn” about how climate changes naturally. I have no idea how reasonable their method is, but it did produce some interesting results. More importantly, the paper presented a table that shows exactly how little we currently understand about the way carbon dioxide affects global temperatures. In the study, the researchers used climate proxy data to produce about 1000 years of climate records, stopping in the 1990s. If you don’t recognize the term, a “climate proxy” is something that can be measured today but is indicative of climate in the past. For example, since trees form a ring each year (most of the time), it is pretty easy to determine what year each ring formed. The ring’s physical characteristics are governed by the weather, so you can analyze the tree ring to get an idea of the temperature that year. Now, of course, this is a difficult process and probably results in a lot of error, but nevertheless, it is at least one way to get information about climate in the past. Well, the researchers gave their ANNs this climate proxy record, but stopped it at 1830. Presumably, human beings weren’t influencing climate heavily back then, so they say that by stopping the data at 1830, they were giving the ANNs a chance to “learn” how the climate changes naturally. They then had the ANNs project how the temperatures should change from 1830 to the mid 1990s. When they compared the proxy data from that same time period to the projections made by the ANNs, the results were amazingly consistent, as illustrated by the graph at the top of the post. Remember, the ANNs didn’t have the data from 1830 to the 1990s. They just used the pre-1830 data to project what the temperatures should be. Nevertheless, they produced remarkable agreement with the data! 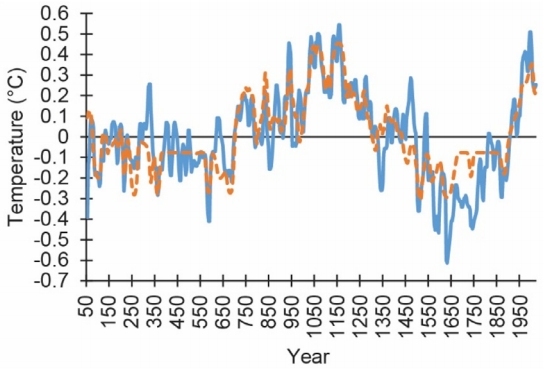 Based on their results, then, the authors say that the vast majority of the temperature changes we have seen from 1830 to the 1990s is natural. I have no idea whether or not their analysis is strong enough to make such a statement, and even so, the study says nothing about the past 20 years of temperature changes. However, in their paper, they estimate the equilibrium climate sensitivity and compare their estimate to those made by other studies. That’s the really fascinating aspect of their paper. If you don’t know what “equilibrium climate sensitivity” is, then you are not educated about global warming (aka “climate change”). It is the single most important concept related to carbon dioxide and temperature, and it is also hotly debated in the scientific literature. The term refers to what happens to global temperature when the amount of carbon dioxide in the atmosphere doubles. Right now, the carbon dioxide concentration in the atmosphere is about 45% higher than pre-industrial levels. Based on current emissions, it is thought that the carbon dioxide concentration in the atmosphere will double pre-industrial levels in 60-80 years. Obviously, then, the equilibrium climate sensitivity is a big deal. If a doubling of carbon dioxide in the atmosphere causes a 5°C change in global temperatures, we have a lot of problems. If it produces a 0.5°C change, that probably isn’t a big deal. 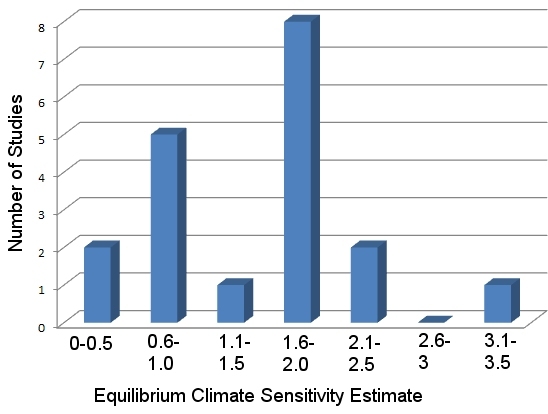 So what is the equilibrium climate sensitivity? No one knows, and this paper does an excellent job of demonstrating that fact. If we can’t pin down the equilibrium climate sensitivity any better than that, then the science of global warming is definitely not settled! …there is high confidence that ECS is extremely unlikely less than 1°C and medium confidence that the ECS is likely between 1.5°C and 4.5°C and very unlikely greater than 6°C. That’s definitely not what I see in the above graph. Instead, it seems that you can’t say anything about the equilibrium climate sensitivity based on these 19 studies. In a nutshell, that’s the problem I have with the pronouncements about global warming (aka “climate change”) made by the High Priests of Science. The pronouncements indicate that we know pretty much everything that’s going on, while the data indicate that we don’t. In some senses this article is one of those fun fact articles. Thanks for highlighting it. 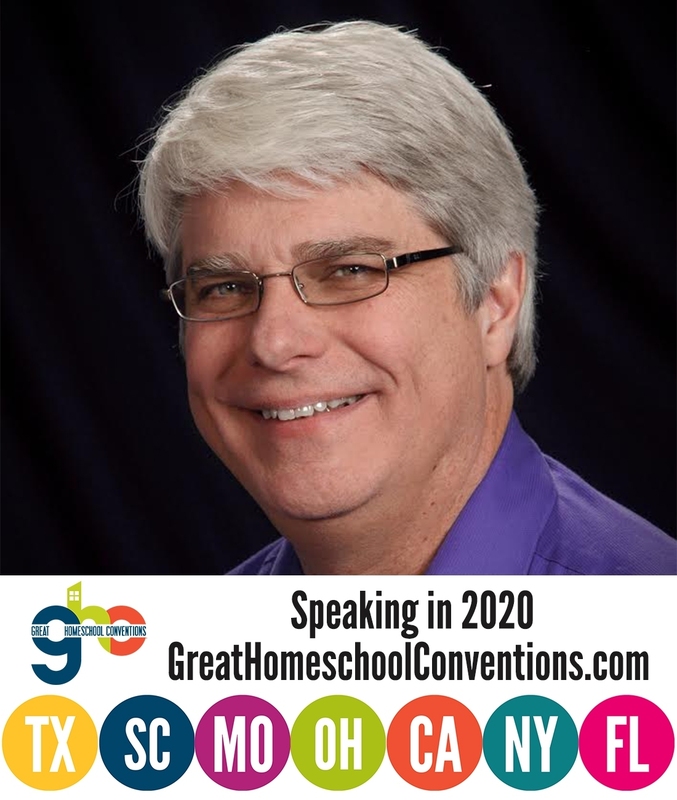 Dr Wile, I heard you speak in New Zealand once. You gave very clear and concise reasons against global warming and then introduced some quite different thoughts on climate change, ocean temperatures and changes in current and wind cycles. Unfortunately time meant you could not continue this conversation. I would be interested in knowing your thoughts now in 2017. In general, there is so much uncertainty in our understanding of climate, we just don’t know what’s going on. There are three ways to measure global temperature (thermometers, satellites, and balloons). They all have their benefits and drawbacks. The balloon data and satellite date are somewhat consistent, but both of them are inconsistent with the thermometer data. The one thing we do know is that the global warming models have not accurately predicted much of anything, so currently, we shouldn’t believe anything they are predicting about the future. In my view, global warming needs to continue to be studied, but until we know more, we should not limit the development of third-world countries by limiting the burning of fossil fuels. Once again, Dr. Jay, thank you for your courage to be a denier.